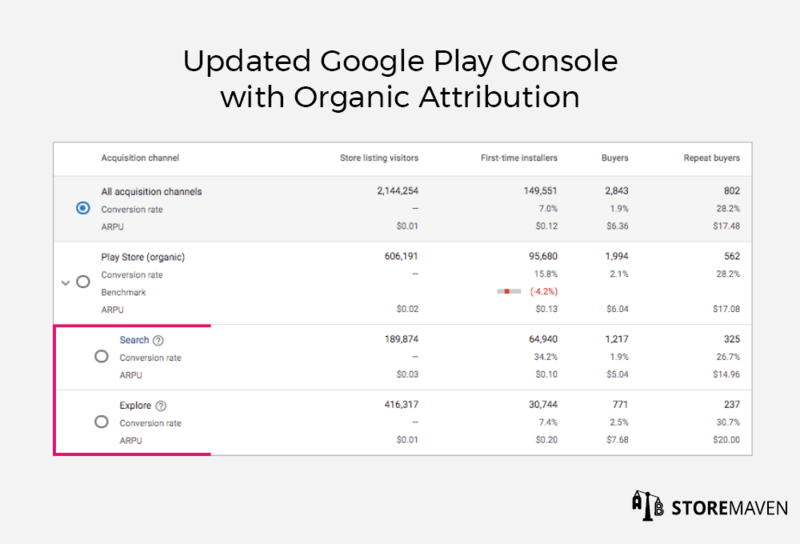 First announced at I/O 2018, Google has finally released an update to the Google Play Console that allows developers to segment their organic traffic. Instead of seeing your organic traffic combined as one unit, you can now identify how many people arrived to your Store Listing through searching specific keywords and how many arrived through exploring (e.g., viewing related apps, browsing the Play Store homepage, seeing top charts or category lists, etcetera). This updated segmentation brings in a new era of transparency that can have lasting impacts on your growth strategy. Not to mention that it provides much more evidence of the value of App Store Optimization (ASO). With new data and insights, developers can achieve a more holistic app store funnel and drive not only installs but also more value and user retention. To help guide you through these updates, we’ve analyzed what the changes mean for your overall ASO strategy and how you can begin to leverage them. But first, here’s a closer look at the new updates. Search Traffic: Users who arrive to your page by directly searching for your brand, or by searching relevant keywords and seeing your app in the Search Results Page. From an ASO perspective, your Icon, Gallery, and App Title are the most important elements to optimize because these are the only assets that appear in search results. Explore Traffic (also known as Browse Traffic): Users who arrive to your page through exploring the Google Play homepage, top charts, or Google’s navigation tabs. From an ASO perspective, your Icon is the most impactful element to optimize because it’s the only visual asset that appears when users browse. Paid User Acquisition (UA) Traffic: Users who arrive to your page from paid campaigns through sources such as Facebook, Google, or network traffic (SDK platforms). From an ASO perspective, you should be optimizing the First Impression Frame (assets that appear above the fold) since all traffic that comes from referral sources will land on your Store Listing. By understanding your app’s unique traffic blend, you can identify which sources to optimize for, which need improvement, and which are currently driving most of your traffic. This allows you to determine your top priority for optimization, and whether you should focus your efforts on improving one source over another. Prior to this update, organic traffic was grouped together in a single bundle, which made developers and mobile app marketers blind to the nuanced differences between organic traffic sources. Each user that comes from explore versus search has varying levels of intent, and it’s imperative to understand their mindset as well as possible in order to optimize your app store accordingly. With the update, you can now see a breakdown of “Search” and “Explore” (i.e., browse) under the organic channel. They break down each organic traffic into store visitors, first-time installers, buyers, and repeat buyers (unique users who bought at least 2 in-app purchases or had 2+ subscription occurrences up to 15 days after visiting your Store Listing). It gets even more granular by listing the conversion rate (CVR) of users to buyers and buyers to repeat buyers. Once you click into the “Search” tab, you’ll see there’s finally attribution that shows the aggregate number of people using different search terms to find your store listing as well as which specific terms led to the most installs and value (e.g., users who opened your app post -install, made at least one purchase, etcetera). You can also see how well your app store converted visitors to installers and then buyers, and check the Average Revenue Per User (ARPU) within each keyword. This gives unbelievable insight into which keywords drive the most installs and which ones drive the most revenue and retention. This update effectively surpasses Apple in terms of having the ability to segment traffic sources and analyze the impact of ASO, which is crucial for identifying your biggest growth opportunities and determining which channels to optimize. Despite both offering a way to break down organic traffic, Google Play and the Apple App Store are inherently different app stores. The insights you uncover through the Play Console should not be applied directly to iOS, and vice versa. With these keyword insights, developers are now equipped with the data needed to create a more holistic app funnel. The initial ad or landing page experience, app store page design, and in-app onboarding can all be tailored in a better way based on the keywords and interests that are driving visitors to install. 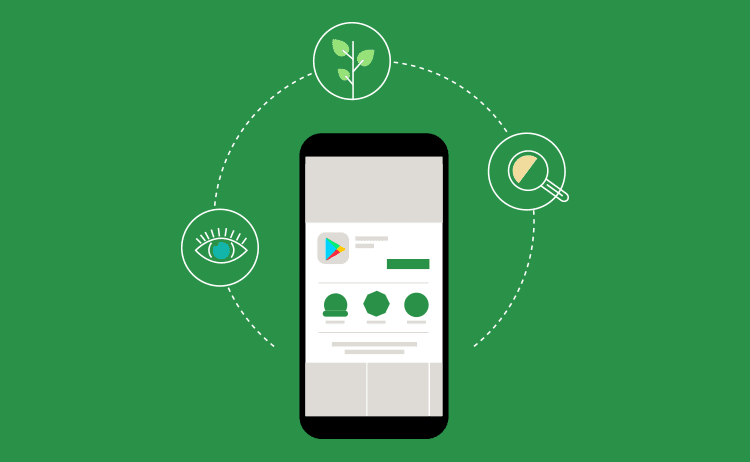 More specifically, the Play Console updates provide developers with the data necessary to make informed decisions about how they should optimize the visitor search flow, starting from when users search keywords on the Play Store up until they actually open the app or game and experience initial onboarding. With a clear idea of what keywords are driving traffic, you can now understand your visitors to a fuller extent. Which keywords are driving the most traffic, and which are leading to more in-app purchases? Do they align with the way you perceive or market your product? What are app store visitors expecting to see or experience when they land on your page? These are all questions that can now be answered. It opens the opportunity for you to identify potential low hanging fruit and pinpoint what your challenges are. For instance, you could be in a situation where you’re driving a lot of installs, but they’re not translating into value (e.g., user retention or in-app purchases). This can help you figure out what’s wrong in the funnel—do you need to reevaluate your app store or onboarding messaging? Doubling down: If you’re seeing a lot of installs and/or revenue from a specific keyword, keep optimizing for that keyword and figure out how you can improve your ranking for it. Expanding reach: If you’re already receiving a lot of installs from a certain keyword, you can instead identify low hanging fruit and focus on expanding installs or extracting more value from keywords with potential. For example, if some keywords aren’t driving many installs, but their ARPU is high, try to optimize for those terms. This would enable you to capture more installs from high-value users and expand in a new market. You can further break down keywords into branded (users who search directly for your company or app name) and non-branded (related keywords). Now that you can see the percentage of people searching directly for your product compared to those who find your app based on related terms, there are actionable steps you can take to optimize for both. If people aren’t searching for your brand, think about which strategies you can implement to educate the market and bring up brand awareness, and subsequently branded search. This might mean increasing budget for your UA campaigns. Alternatively, if you’re getting most of your installs from branded search terms, this means you can leverage app store creatives that don’t completely revolve around your brand in order to expand your reach to a different market. 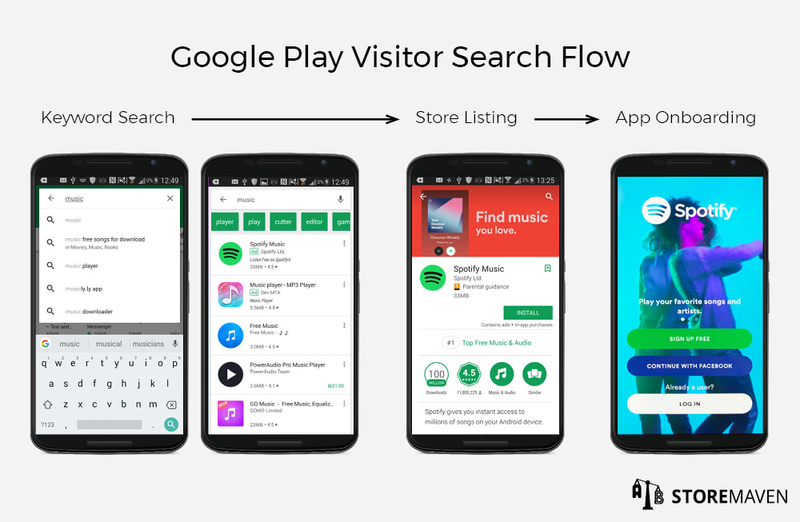 As we slightly touched on above, using information about popular search terms gives you the opportunity to change your app or game’s Google Play Store Listing assets to better reflect visitors’ interests. This involves adjusting the descriptions (revising text so you can rank higher for specific keywords) or redesigning your app store creatives (catching visitors’ eyes and being more effective at pushing them through the install funnel) to tie more directly into the top search terms. You have a unique glimpse at what your visitors’ mindsets are when they arrive to your Store Listing and what they are (or aren’t) looking for. Now you can update the creatives accordingly to optimize for those keywords. It can also help you identify possible issues within the funnel. For example, if you’re driving a lot of volume from a specific keyword, but it’s not translating into installs or value, then it may be a good idea to revisit the messaging on your Store Listing. This is your chance to update your creatives and focus on emphasizing the keyword(s) driving volume so they can translate into installs and revenue. Overall, it’s crucial to ensure there’s cohesiveness between the terms bringing visitors to your page and what they eventually see there. 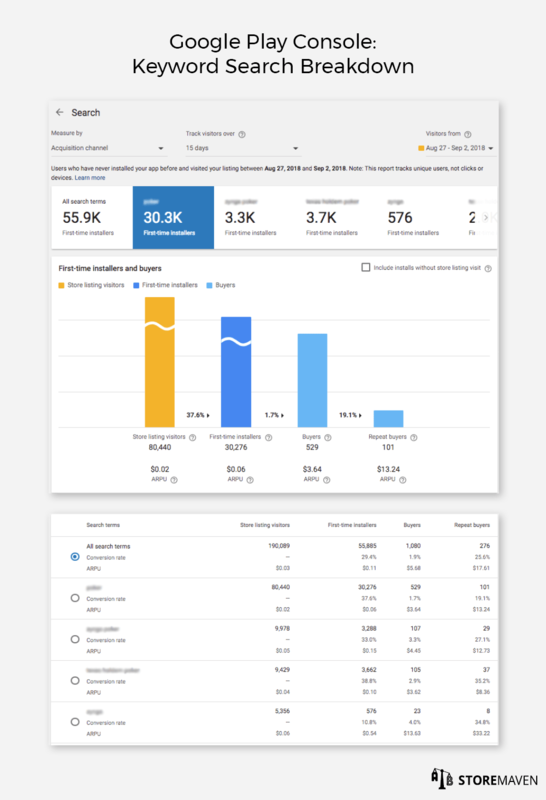 To take it a step further, you can even use the insights provided by the new Play Console dashboard to optimize app onboarding. It’s imperative that you create a cohesive narrative from initial paid ad campaigns throughout the app store journey, and that it continues once installers open the app. In order to effectively optimize this flow, your onboarding should discuss the features related to the most popular searches people made when discovering your app or game. For example, if you’re driving a lot of installs from one keyword, but the value of the installs is low (meaning there’s a lack of user retention or monetization), then there might be a disconnect between app store messaging and initial app onboarding. These insights may uncover dissonance between what people expect to see from your app and what they actually experience. This opens the opportunity for you to update the language and messaging within your app to match their expectations and eliminate this discrepancy. As you’ve seen, these updates have more than just the potential to affect your keyword optimization strategy. They also show how creative optimization plays a key role in your broader UA and mobile app marketing efforts. It’s not just about looking at keywords, but also about how you decide to leverage them and tailor messages within your ad campaigns, app store assets, and in-app flow accordingly. ASO is vital to driving organic traffic and installs, and the update enables you to do this with more data and better understanding. 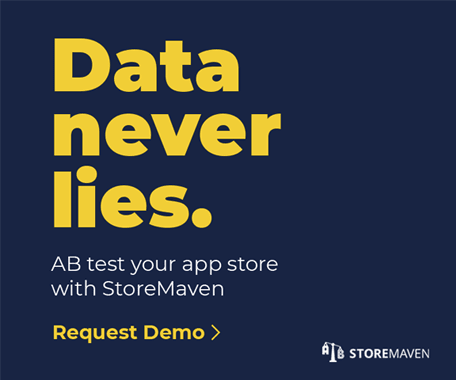 If you have additional questions about what this update means for your ASO and overall UA strategy, feel free to reach out to info@storemaven.com. In Present digital era, Most of the business are approaching to start their business services with mobile app. Most of the e-commerce companies are targeting through mobile app.